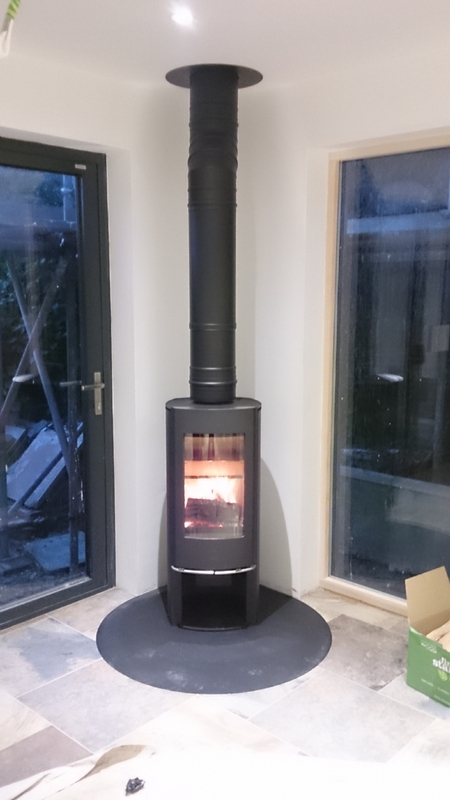 Scan 45 mini on a circular steel hearth wood burning stove installation from Kernow Fires. 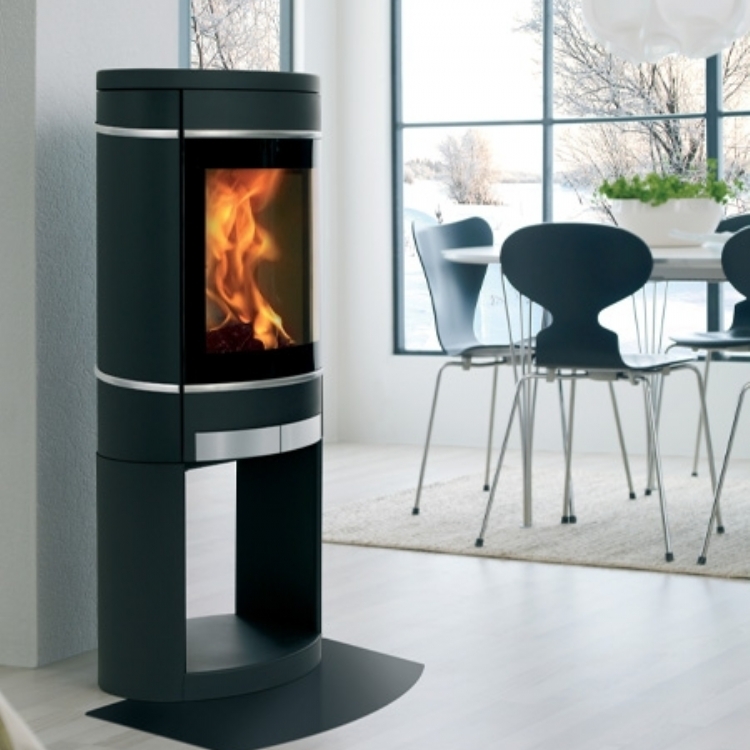 The Scan 45 mini is a popular choice because of it's slim-line design and beautifully tall flame picture. 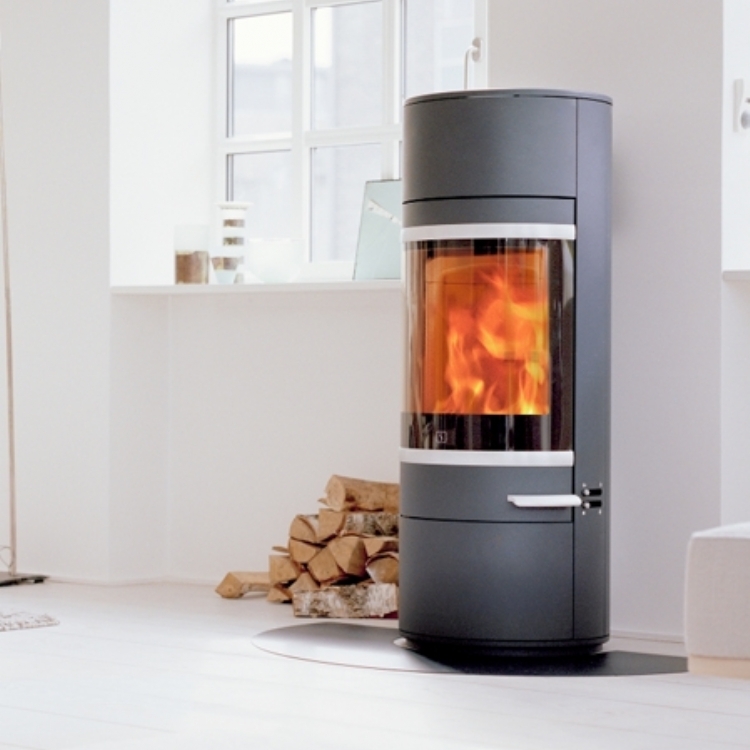 The steel hearth creates the visual barrier required by regulations but doesn't create a trip hazzard.